You Are Dead. 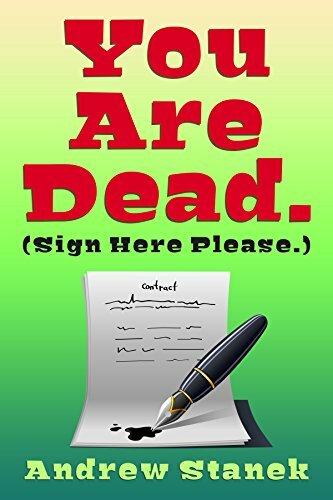 (Sign Here Please) is a madcap comedy of truly ludicrous proportions. After Nathan Haynes dies, he discovers that the afterlife is run by straight-laced bureaucrats, but when he refuses to sign his 21B he is punted back to life in his insane home city of Dead Donkey. He can’t rest easy, though – the bureaucrats are out to get him and they will put his papers in order, no matter the cost. Will our hero die (again)? Will the bureaucrats trick him into filling the proper forms in? Will Nathan ever get to do his laundry? Find out in You Are Dead. (Sign Here Please)!